When To Consider Joining OddsMonkey? 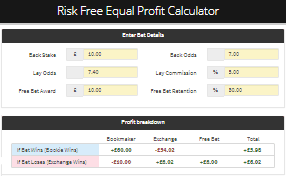 You should now have made a tidy profit risk free from the Welcome Offers you've completed so far! If so, a big congratulations on embarking on your matched betting journey. The good news is there is plenty more profit in the weeks and months ahead too! How will OddsMonkey help you with Welcome Offers? When to consider joining OddsMonkey Premium? 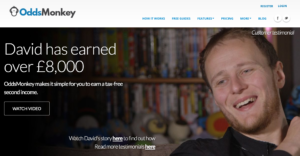 OddsMonkey is the leading matched betting subscription site. They provide a range of software tools that help matched betters be more efficient and more profitable! They offer two accounts - Free Account and Premium Account. 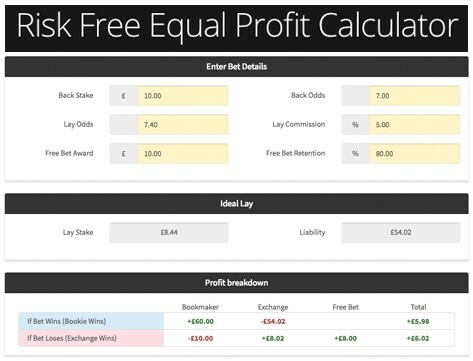 I recommend setting up a Free Account to try out the OddsMatcher and to use the Equal Profit Calculator for the Refund Offers - explained in Guaranteed Profit Method guide. You don't need a bank card to set up your Free Account so it's a no brainer I think! The Premium Account is £17.99 per month. You receive a 30 day money back guarantee, so if you are not finding OddsMonkey useful, you'll receive your £17.99 back no problem! 1 to 1 training and much more! The Premium Account has lots of handy features but...which are actually helpful for you whilst completing Welcome Offers? Shortly you will be completing the Refund Welcome Offers. These are exactly the same as Bet X Get Y Welcome Offers except that you only receive the free bet if your trigger bet loses. This means if your trigger bet wins, you do not receive a free bet, boo! For details, please see the Guaranteed Profit Method. Please note you only need a Free Account to use their Equal Profit Calculator. 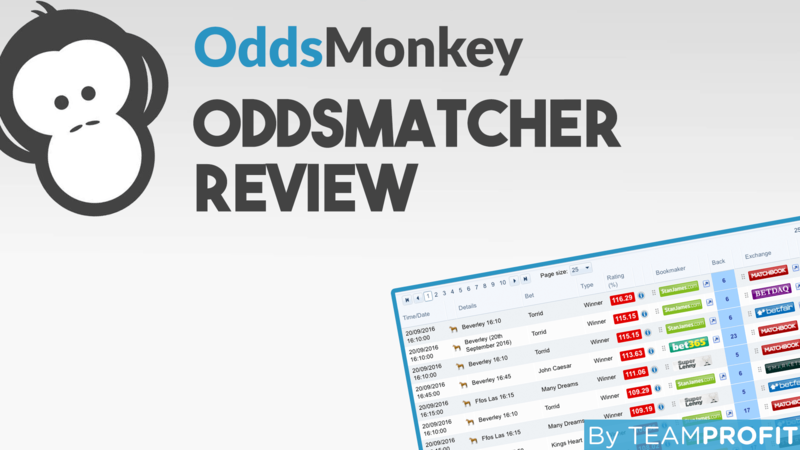 The OddsMatcher is my favourite matched betting tool, quite simply, it's awesome! It automatically scans every bookmaker and exchange and shows you the closest odds between them - ideal for minimising trigger bet losses. 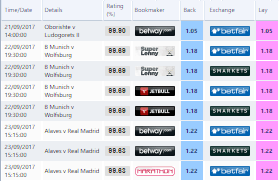 Filter - Allows you to select the bookmaker, exchange, sport, odds and more! For details, please see the full OddsMatcher guide. Please note you can try out the OddsMatcher with your Free Account for Coral, Betfred and ToteSport. For all 50+ bookmakers upgrade to a Premium Account. The OddsMonkey community is extremely helpful and good fun too! The Community Forum is available to Premium Members, as well as access to the OddsMatcher for every bookmaker. So is it the right time to consider joining OddsMonkey Premium? I think joining OddsMonkey Premium is well worth it, I use the site every day and really enjoy using it. However, I think there is a risk you could become a Premium Member too early and become overwhelmed with information and tools! 1) Have You Made £100 Profit So Far? 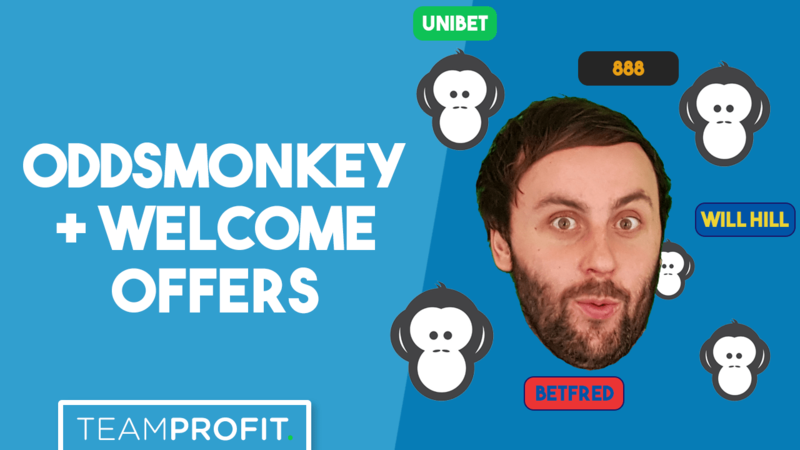 To join OddsMonkey Premium, you need to spend £17.99 upfront for your first 30 days. Although you do get a 30 day money back guarantee, you want to avoid this £17.99 deduction from your bank account causing you to slow down doing Welcome Offers. For example if you no longer had enough funds to complete the next Welcome Offer, then this would not be good! 2) Do you feel comfortable with the matched betting process? There is quite a fair bit to learn when starting matched betting as I'm sure you'll know by now! If you're not feeling comfortable yet with the process, then adding new tools may just add extra information that isn't needed! It would be much better if you're still a bit unsure to simply follow the Team Profit Welcome Offer guides, use the Team Profit Facebook Group and Live Help. 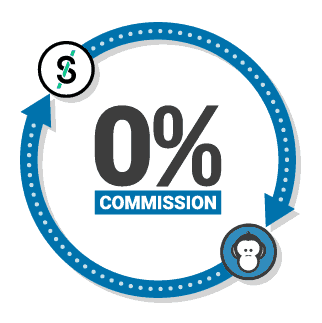 Once you've joined, please check out this article of my OddsMonkey Top Time Saving Tips and Checklist - Making The Most Of OddsMonkey. 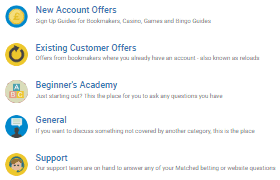 As always if you have any questions about matched betting or OddsMonkey please ask!